I have been to Jeri’s Grill in the day for breakfast, brunch and lunch having the typical diner fare of eggs, bacon, and sausage. Each time I have seen that it was open 24 hours and so tonight when I got the munchies I thought I would stroll over there to see what was on the menu and what was happening. I love Jeri’s grill, it is a real diner, not one of those that have been set up to look like a diner, it is the real thing. I was in here earlier during the day for an omelette and it was a decent affair. I was more adventurous late night than I might have been at lunch time, I was curious to try a sandwich that I have seen a number of times elsewhere, that was a Perch sandwich. Now when I was a kid in England we used to fish on the River Trent in Nottinham and the Perch was a real fighting fish that we struggled to pull in and it had a really sharp fin, the water in that river was too polluted to eat the catch, but now I had the chance to see if it was any good. It was really good, OK so the bun was just a bun, but the fish was breaded and fried nicely, the fish was moist, the tartar sauce was OK, the breading was crunchy and a nice bite. In consideration, yes I would have a perch sandwich again, and as for Jeri’s grill.. I think on reflection my friend, we need to see each other, on a more regular basis. 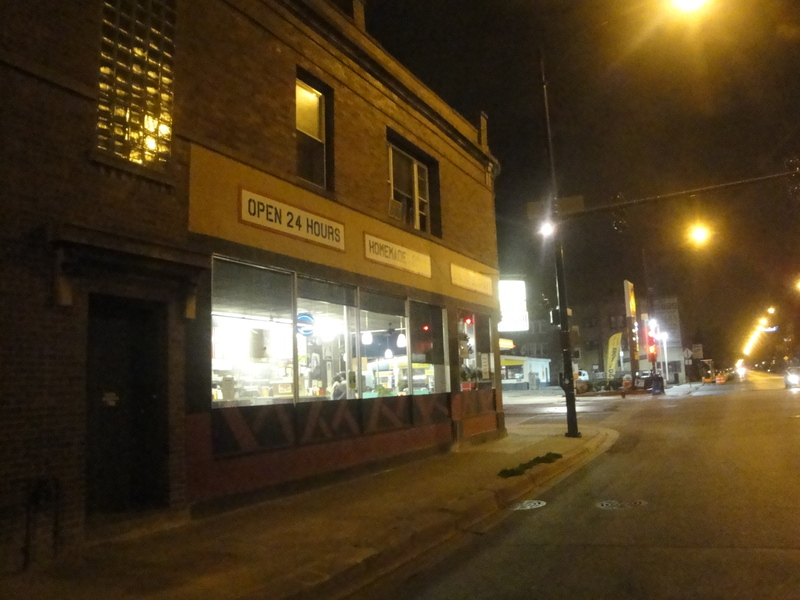 Jeris Grill is located at 4357 N Western Ave (between Pensacola and Montrose Aves) North Center, Chicago equidistant between the Montrose and Western Brown Line El Stops.